Well, at least they avoided 100 losses. I paid my last respects to the worst Twins season of my lifetime Tuesday night at Target Field, enjoying nine innings of perfect weather and a game that meant absolutely nothing. It was an odd feeling after nine seasons of blogging about a team that was at worst on the fringes of contention every year and more often than not advanced to the playoffs, but the evening (and last night's MLB-wide craziness) was also a nice reminder of how great baseball will always be. 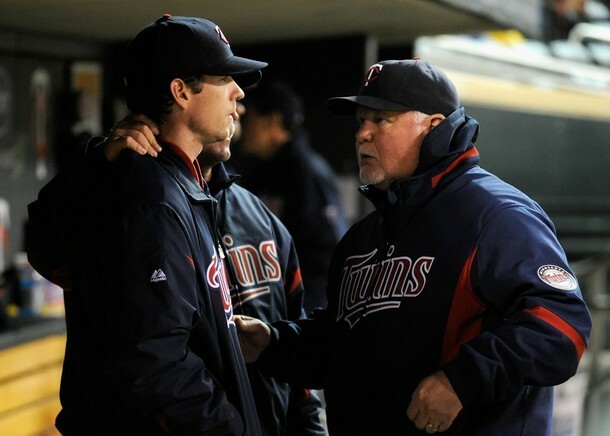 At times this season it was easy to forget that, as the Twins ceased playing meaningful games two months ago, had nearly the entire roster wrecked by injuries, and limped to the finish line with an execrable 13-43 collapse. It wasn't much fun to watch and it wasn't much fun to write about, so perhaps more than ever before I really appreciate everyone who continued to stop by here on a regular basis. 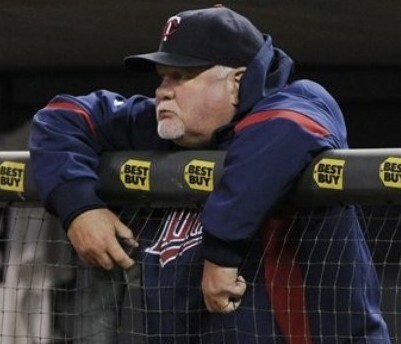 My hope is that you'll continue reading AG.com throughout the offseason, because I'll be trying to figure out how the Twins can get back on track while analyzing potential free agent targets, speculating about possible trades, jump-starting my long-delayed series on the best players in team history, and rolling out my annual ranking of Twins prospects. I might take a few days off to decompress before diving into the offseason, but it'll be business as usual here all winter. Thank you for reading this blog, thank you for listening to my podcast and radio appearances, thank you for following me on Twitter, thank you for supporting my writing at NBCSports.com, Rotoworld, and MinnPost, and thank you for all the kind words and even the not-so-kind ones. If you'll keep reading and listening I'll keep writing and talking, and maybe this time next year we'll be looking over playoff matchups again. And if not, at least baseball will still be baseball. This week's episode of "Gleeman and The Geek" was recorded at the Manitou Station in White Bear Lake as part of the TwinsCentric get-together. My beer drink of choice was a screwdriver, because it was barely after noon and keeping my girlish figure is very important. Topics included how much blame to place on Bill Smith, revisiting re-signing Michael Cuddyer and Jason Kubel, veterans most likely to be traded, celebrating positives in a negative year, Rene Tosoni's future, rushing prospects to the majors, looking back at the Johan Santana trade, Chris Parmelee's impressive September, when does a rebuilding job make sense, how the defense killed Carl Pavano, front office trust despite ugly deals, and missing Terry Ryan. • I'll be on 1500-ESPN radio today from 10 a.m. until whenever Judd Zulgad and Joe Anderson kick me off the "Judd and Phunn" show. You can listen online here. • John Bonnes, Seth Stohs, Nick Nelson, and Parker Hageman (also known as TwinsCentric) are hosting a get-together Saturday at noon for Game 1 of the Twins-Indians doubleheader. I'll be there as well and we'll be recording an episode of the "Gleeman and The Geek" podcast, so if you're interested in watching the game(s), drinking some beer, and talking Twins please come hang out. We exchanged some names both ways and in the end we both felt this was the proper way to go. This was certainly the right thing to do for Jim Thome and the right thing to do for the Twins. It's tough to imagine why they wouldn't pick some Single-A live arm and if any of those players ever finds out that they were passed over for $20,000 they'll probably retire on the spot, but ultimately it doesn't matter. Thome was dealt to save money and to give him a shot at playing meaningful games in September. 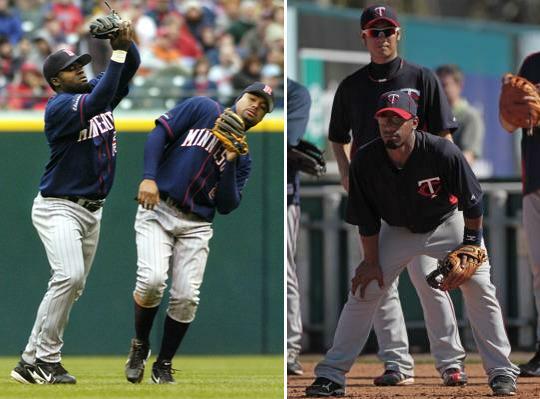 Cleveland almost immediately fell out of contention following the move, but between his salary and the $20,000 throw-in the Twins saved about $650,000. That's it. That's the whole list. Oh, and he's also thrown out 34 percent of steal attempts. Sigh. • Denard Span returning to the lineup for a handful of meaningless September games seems like an iffy decision considering how poorly things went last month when he came back despite still having concussion symptoms. Toss in Justin Morneau's recent setback 15 months after his concussion and leaving Span on the sidelines sure seemed like the sensible plan, but at least he felt good after playing five innings. He also said: "I'm praying I wake up feeling good." • Jason Repko was hit in the helmet Sunday and has unfortunately joined Span and Morneau in suffering a concussion, with Rhett Bollinger of MLB.com reporting that he's "been bothered by headaches and nausea." According to trainer Rick McWane "he had a CT scan and an MRI exam on his head and they both came back normal" and Repko hasn't officially been ruled out for the season yet, but he won't play again in 2011. What a shame. • As the Twins zero in on the No. 2 overall pick next year Baseball America released their initial ranking of the top 50 prospects available in the 2012 draft. Generally speaking the draft class is considered underwhelming, particularly in terms of elite talent, but while that's bad luck for the Twins a lot can change before June. For now the main names to track are Stanford right-hander Mark Appel, Arizona State shortstop Deven Marrero, and Florida catcher Mike Zunino. • Speaking of Baseball America, they named Miguel Sano the No. 1 prospect in the rookie-level Appalachian League this season after the 18-year-old third baseman batted .292/.352/.637 with 20 homers and 45 total extra-base hits in 66 games. Elizabethton's other record-setting slugger, 19-year-old center fielder Eddie Rosario, ranked No. 5 on the same list and this year's second-round pick, right-hander Madison Boer, ranked No. 17. • Mike Fast of Baseball Prospectus did an extensive study on the often overlooked impact MLB catchers have framing pitches. His research and results are way too interesting and in-depth for me to recap here, so I'll just note that Joe Mauer's pitch framing has been two runs above average per 120 games, while Drew Butera's pitch framing has been nine runs below average per 120 games. Check out the whole study for some very intriguing, unique stuff. • Michael Cuddyer and Danny Valencia are the only two players on the Twins' injury wrecked roster who'll log enough plate appearances to qualify for the batting title, but believe it or not that isn't particularly rare. Ten teams in baseball history have had just one hitter qualify for the batting title, two of which are the Astros and Giants this season, and the Twins are the 70th team to have two or fewer qualifiers in a season. • Brian Dinkelman is 20-for-53 (.377) and all 20 of his hits have been singles. Jim Perry is the only other player in Twins history to record at least 15 hits in a season without an extra-base hit. Perry, a starting pitcher who won the Cy Young award in 1970, went 17-for-92 (.185) with all singles in 1971. • Tom Tango launched his annual "scouting report by the fans for the fans," which is your shot to play a scout by entering in personal observations about the players you watch on a regular basis to become part of the huge collection of scouting reports compiled entirely by fans. Take a look at the instructions and details, and then go to the Twins page to mark down what you think of, say, Trevor Plouffe's throwing accuracy or Ben Revere's arm strength. It's like we’re watching the fate of Sisyphus himself. We get to the top of that hill and just can't seem to figure it out. Actually, there was probably no need to identify which player said that. Something tells me neither of them mentioned any Greek mythology. • Michael Kruse from Grantland wrote a lengthy article about 32-year-old career minor leaguer Chase Lambin, who spent this season playing at Triple-A for the Twins. 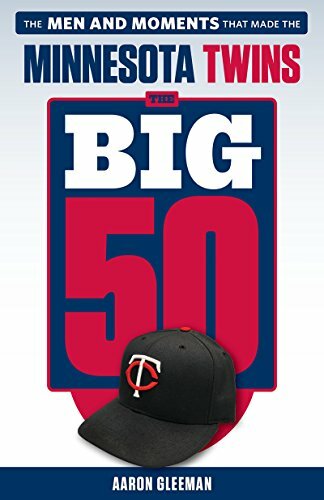 • Dating back to last season the Twins are 61-106 in their last 167 games, including 9-39 since late July. To avoid the second 100-loss season in team history they'd have to finish 4-4. 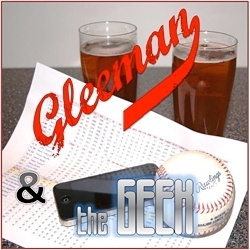 • If you haven't yet, please check out this week's episode of "Gleeman and The Geek." This week's content is sponsored by Jane Gallop's new book, "The Deaths of the Author: Reading and Writing In Time."